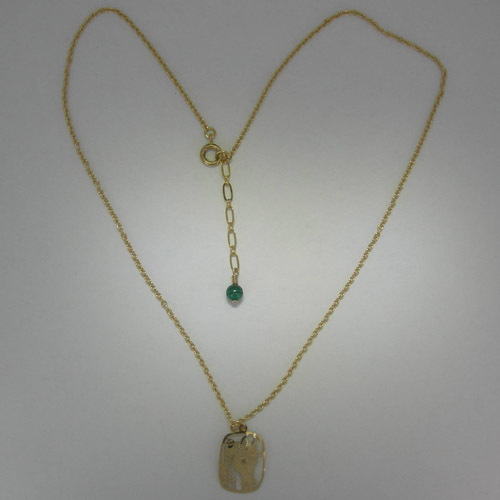 Desc: 14 Karat yellow gold plated Arabian Horse Head necklace. 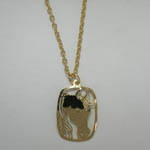 The extention chain is two inches long and has a Malachite bead at the base, the chain has a spring ring clasp. The pendant depicts an Arabian horse head inside a rectangular frame. The pendant has a light hammered finish and the necklace has a bright polish finish. Also available in rhodium plating and as earrings (contact us for details).